"15th arrondissement" redirects here. For the district of Marseille, see 15th arrondissement of Marseille. 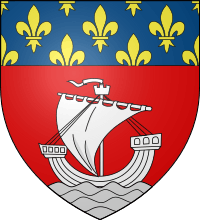 The 15th arrondissement of Paris is one of the 20 arrondissements (administrative districts) of the capital city of France, also called "Arrondissement de Vaugirard". Situated on the Rive Gauche (left bank) of the River Seine and sharing the Montparnasse district with the 6th and 14th arrondissements, it is the city's most populous arrondissement. 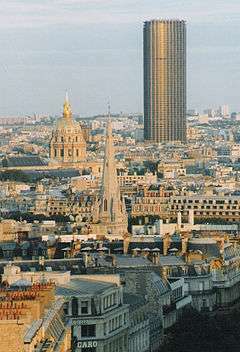 The Tour Montparnasse – the tallest skyscraper in Paris – and the neighbouring Gare Montparnasse are both located in the 15th arrondissement, at its border with the 14th. It is also home to the convention center Paris expo Porte de Versailles and the high-rise district of the Front de Seine (or Beaugrenelle). The loi du 16 juin 1859 decreed the annexation to Paris of the area between the old Wall of the Farmers-General and the wall of Thiers. The communes of Grenelle, Vaugirard, and Javel were incorporated into Paris in 1860. As in all the Parisian arrondissements, the fifteenth is made up of four administrative quarters (quartiers). 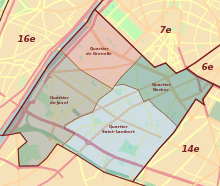 The four administrative quarters of the 15th arrondissement. To the south, quartier Saint-Lambert occupies the former site of the village of Vaugirard, built along an ancient Roman road. The geography of the area was particularly suited to wine-making, as well as quarrying. 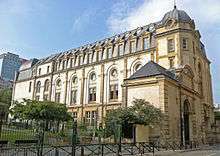 In fact, many Parisian monuments, such as the École Militaire, were built from Vaugirard stone. The village, not yet being part of Paris, was considered by Parisians to be an agreeable suburb, pleasant for country walks or its cabarets and puppet shows. In 1860 Vaugirard was annexed to Paris, along with adjoining villages. 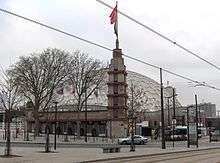 Today, notable attractions in this area include the Parc des Expositions (an exhibition center which hosts the Foire de Paris, agricultural expositions, and car shows), and Parc Georges-Brassens, a park built on the former site of a slaughterhouse where every year wine by the name of Clos des Morillons is produced and auctioned at the civic center. To the east, quartier Necker was originally an uninhabited space between Paris and Vaugirard. The most well-known landmarks in the area are the Gare Montparnasse train station and the looming Tour Montparnasse office tower. The area around the train station has been renovated and now contains a number of office and apartment blocks, a park (the Jardin Atlantique, built directly over the train tracks), and a shopping center. Finally, the quartier contains a number of public buildings: the Lycée Buffon, the Necker Children's Hospital, as well as the private foundation Pasteur Institute. To the north, quartier Grenelle was originally a village of the same name. Grenelle plain extended from the current Hôtel des Invalides to the suburb of Issy-les-Moulineaux on the other side of the Seine, but remained mostly uninhabited in centuries past due to difficulties farming the land. At the beginning of the 19th century, an entrepreneur by the name of Violet divided off a section of the plain: this became the village of Beaugrenelle, known for its series of straight streets and blocks, which remain today. The whole area broke off from the commune of Vaugirard in 1830, becoming the commune of Grenelle, which was in turn annexed to Paris in 1860. A century later, a number of apartment and office towers were built along the Seine, the Front de Seine along with the Beaugrenelle shopping mall. To the west, quartier Javel lies to the south of Grenelle plain. In years past, it was the industrial area of the arrondissement: first with chemical companies (the famous Eau de Javel [bleach] was invented and produced there), then electrical companies (Thomson), and finally car manufacturers (Citroën), whose factories occupied a large part of the quartier up until the early 1970s. The industrial areas have since been rehabilitated, and the neighbourhood now contains Parc André Citroën, Georges Pompidou European Hospital, and a number of large office buildings and television studios (Sagem, Snecma, the Direction Générale de l'Aviation Civile, Canal Plus, France Télévisions, etc.). In addition, to the south of the circular highway (boulevard périphérique), an extension of the 15th, formerly an aerodrome at the beginning of the 20th century, is now a heliport, a gym and a recreation center. The early airfield here has been encroached upon by urban development and a sports centre, but the residual area, mainly laid to grass, continues to serve Paris as a heliport. The Sécurité Civile has a detachment there close to maintenance facilities. Customs facilities are available and especially busy during the Salon d'Aeronautique airshows held at Le Bourget on the other side of the city. The land area of this arrondissement is 8.502 km2 (3.283 sq. miles, or 2,101 acres). 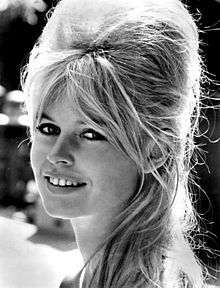 The peak of population of Paris's 15th arrondissement occurred in 1962, when it had 250,551 inhabitants. Since then it has lost approximately one-tenth of its population, but it remains the most populous arrondissement of Paris, with 225,362 inhabitants at the last census in 1999. With 144,667 jobs at the same census, the 15th is also very dense in business activities. Musée Mendjisky specializing in school of Paris artists, housed in a Robert Mallet-Stevens building. Villa Santos Dumont where Ossip Zadkine and Fernand Léger had their workshop, also featured in Gail Albert Halaban book Out of my window. Paris. Square Béla Bartók where the sculpture-fountain Cristaux by Jean-Yves Lechevallier can be seen. The parc André Citroën with the Ballon de Paris, Ballon Generali. 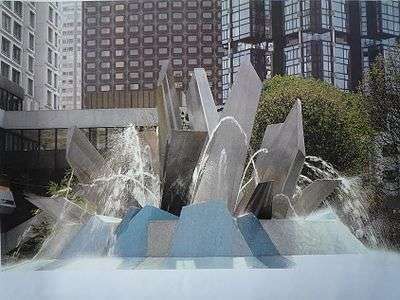 The Polypores Fountain by Jean-Yves Lechevallier featured in the movie by Alain Resnais Same Old Song. Paris expo Porte de Versailles exhibition center (with the Tour Triangle project) and Palais des Sports, near Porte de Versailles metro station. Front de Seine high-rise district. At one time the head office of the Bureau Enquêtes-Accidents was in the 15th arrondissement. Coming soon, the centralized administration of the French Ministry of Defense, project Balardgone as in The Pentagon. 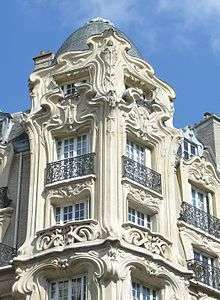 Art Nouveau building, detailed view. The headquarters of Orange S.A. and Eutelsat are located in the 15th arrondissement. La Poste, the French mail service, has its head office in the arrondissement. The publisher Hachette Livre also has its headquarters in the arrondissement. Prior to the completion of the current Air France headquarters in Tremblay-en-France in December 1995, Air France was headquartered in a tower located next to the Gare Montparnasse rail station in Montparnasse and in the 15th arrondissement; Air France had its headquarters in the tower for about 30 years. Previously the Tour Maine-Montparnasse , in the 15th arrondissement of Paris housed the executive management of Accor. Schiller International University has a campus in the arrondissement. It is in proximity to Place de la Convention. Louis Pasteur by Félix Nadar in 1878. Henry Miller lived in the 15th where he worked on Tropic of Cancer. Samuel Beckett who lived in the 15th arrondissement of Paris for most of his adult life and wrote in both English and French. Thirza Vallois, Around and about Paris Vol.3: New Horizons: Haussmann's Annexation (Arrondissements 13-20), Iliad Books, 1999, pages 80 to 104. Ann Pringle-Harris, The 15th, a World of Its Own, The New York Times, 1997. ↑ Bea.aero f-gk820317.pdf Archived 2012-05-29 at WebCite." Bureau Enquêtes-Accidents. Retrieved on 18 April 2012. "246, rue Lecourbe 75732 PARIS – France"
↑ "legal matters." Orange. Retrieved on 6 October 2009. ↑ "Contact Us." 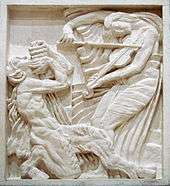 La Poste. Retrieved on 22 December 2010. "La Poste laposte.com V603 44 bd de Vaugirard 75015 Paris – France"
↑ "Mentions légales." La Poste. Retrieved on 22 December 2010. "Siège social : 44 boulevard de Vaugirard – 75757 PARIS CEDEX 15." ↑ Hachette.com Home. Hachette Livre. Retrieved on 17 April 2011. "Hachette Livre 43, quai de Grenelle 75905 Paris Cedex 15"
↑ "Roissy Charles-de-Gaulle." Tremblay-en-France. Retrieved on 20 September 2009. ↑ Salpukas, Agis (1992-12-27). "Air France's Big Challenge". The New York Times. Archived from the original on 18 June 2009. Retrieved 2009-05-31. ↑ World Airline Directory. Flight International. March 20, 1975. "466. ↑ Mlekuz, Nathalie. "Air France vole vers ses avions, destination Roissy." Le Monde. 2 April 1997. Retrieved on 22 September 2009. ↑ "Address book." Accor. 17 October 2006. Retrieved on 19 March 2012. "Executive Management Tour Maine-Montparnasse 33, avenue du Maine 75755 Paris Cedex 15 France"
↑ "Paris." Schiller International University. Retrieved on August 28, 2011. "Schiller International University 9, rue Yvart 75015 – Paris FRANCE "
↑ Thirza Vallois. Around and about Paris Vol.3: New Horizons: Haussmann's Annexation (Arrondissements 13-20). Iliad Books. p. 80 to 104. ISBN 978-0-9525378-2-3. Retrieved 2015-04-29. ↑ Pringle-Harris, Ann (1997-11-02). "The 15th, a World of Its Own". The New York Times. Retrieved 2015-05-07. Wikimedia Commons has media related to Paris 15e arrondissement.